A talented amputee golfer has hailed a move by The PGA to help people with disability to pursue a golfing career by giving them the opportunity to qualify as PGA Professionals. Six handicapper Chris Foster from Bishop’s Stortford, who lost his leg to bone cancer and has long held an ambition to become a PGA Professional, described the news as ‘incredible’. “This isn incredible news for not only current disabled golfers but also those with disabilities who are yet to take up the game,” said Foster who plays his golf at East Herts. “The inclusiveness of golf is ever growing and it’s great to see The PGA offer this exciting opportunity to disabled golfers with dreams of becoming PGA Professional golfers. From 2016 talented golfers, who meet the golf handicap requirement and work in golf, will be able to enrol on the PGA’s three year training programme. The move follows consultation with the European Disabled Golf Association to establish a framework of equivalent entry level handicaps for golfers with disability from various impairment groups. “A common thread across all the very best players, regardless of their abilities or disabilities, is the struggle they have gone through to achieve their potential,” said EDGA president Tony Bennett who is a PGA Master Professional. “A high performing able-bodied player may reach a lower handicap than an equally high performing player who plays with a physical, intellectual or sensory impairment. The PGA recognises this and so are leading the way with this initiative. “The opportunity for golfers with disability, that reach the required golf handicap level to enrol on the PGA’s three year training programme, is a very big step in the right direction. Growing the number of disabled golfers has been an aim for various sports councils for some years and The PGA has done much to support this with specialised coach development programmes while it has strong links with disabled military charities through its PGA Golf Buddy programme, pairing up injured personnel with PGA pros in their local community. PGA Fellow Professional, Craig Thomas, a member of EDGA’s sports committee and coordinator of the ISPS Handa Academy programme which trains pros to coach disabled golfers, has described the decision as a ‘massive step’ for disabled golf. 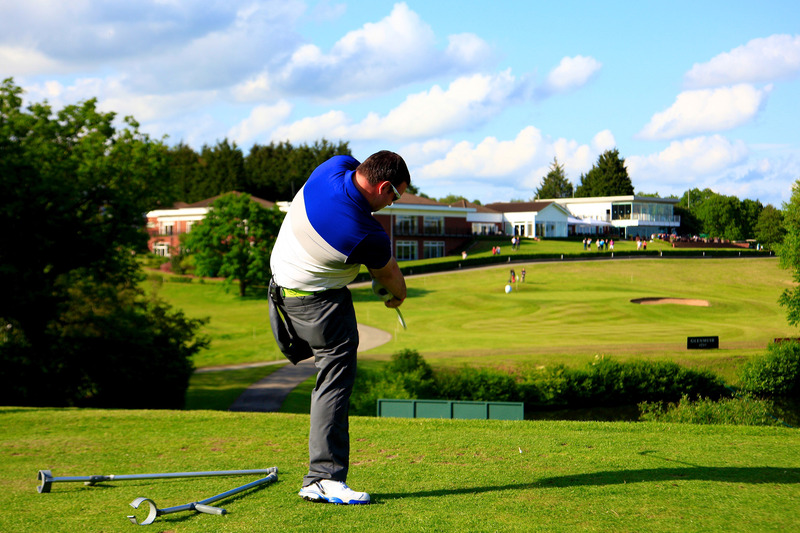 “Just because you have a disability doesn’t mean you can’t be a good coach, a good club pro or club manager,” said Thomas who runs The Golf Academy at Oxley Park Golf Club in Staffordshire. PGA chief executive Sandy Jones added: “The PGA and its members have always tried to work in whatever way possible to bring opportunity for everyone who engages with golf to get maximum enjoyment from the game. “This latest decision to encourage those with disability to consider and become involved in the game as a career is very progressive.